Raising Jack With Celiac : Happy Gluten-Free Easter! Oh my, I can't believe it's been over a month since my last post, but I promise, it's been for good reason! Morning sickness, tired....PREGNANT! Yes, Jack is going to be a big brother! We are all very excited, but I'll be more excited once the nausea subsides! I had to push through my pregnancy woos this past week and make cupcakes for Jack's pre-school class. I'm so thankful for Pamela's Products baking mixes! She makes it so easy! 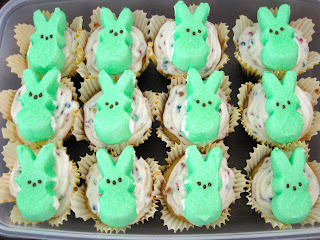 I used her Vanilla Cake Mix - adding water, oil and eggs and that's it - you have fabulous cupcakes! 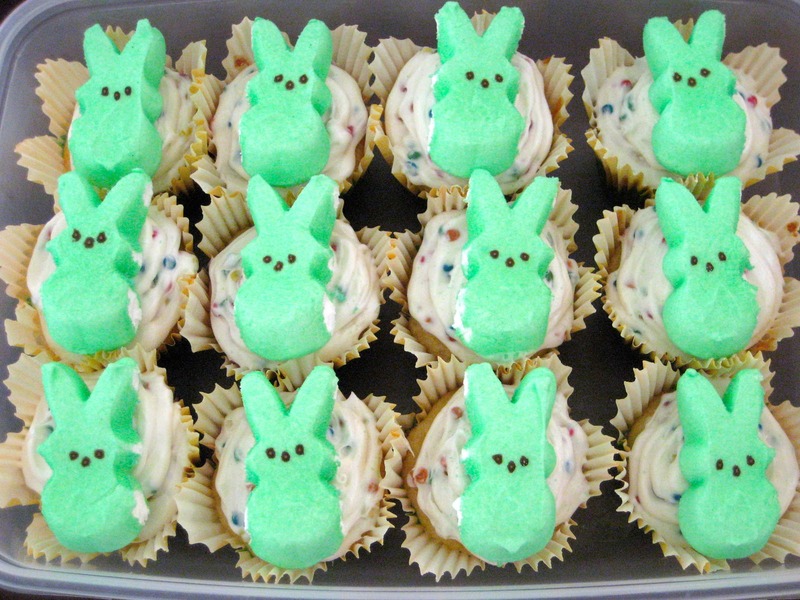 To top it off, a favorite gluten-free treat around the holidays - PEEPS! I cannot believe the variety of colors they have now - Jack and his sis love Peeps! They come in so many different colors now - I even saw orange chicks - you can have lots of fun with these colorful marshmellow treats! I hope you all have a wonderful day and may the Easter Bunny bring you lots of goodies! From our family to ours - Happy Gluten-Free Easter!